We are delighted to welcome author K.J. Larsen to Omnimystery News today. Actually, that should be "authors" as K.J. Larsen is a pen name used by three sisters, who co-write the Cat DeLuca mystery series. Their latest book in the series is Bye, Bye Love (Poisoned Pen Press; April 2015 hardcover, trade paperback, and ebook formats) and we recently had the chance to catch up with the authors to talk more about their book. Omnimystery News: Tell us how this series came to be. K.J. Larsen: Three guilty sisters, Julianne, Kristen, and Kari Larsen, write the Cat DeLuca Mysteries. The unexpected idea to co-write a novel was fueled by too much wine and a decided lack of good sense. There's minimal bloodshed, but it's crazy fun. Cat's interfering, Italian family has us in stitches. I don't remember talking about writing a sequel. The day after we sent Liar, Liar to the publisher, we began Sticks and Stones. Captain Bob Maxfield, at Chicago's Ninth Precinct, has been a recurring character in the Cat series. There's a lot of history between the captain and the DeLuca family and in each book, more of that relationship has been revealed. Last year, we sisters were astounded when a group of Chicago Red Hat Club women said they have a crush on Captain Bob. He's their favorite character and they want a book that tells Bob's story. I confess they saw more in the character than we did. But when two hundred grandmas tell you something, you get cracking. Captain Bob spills the beans in book five. OMN: You mention that there is minimal bloodshed, so Into which mystery subgenre would you place your series? And do you think it's helpful to categorize it as such? KJL: A cozy whodunit, soft-boiled, with a twist of sass. As authors, we grumble about pigeon-hole labeling. As readers, we find genre labels helpful. OMN: Tell us something about your books that isn't mentioned in the publisher's synopses. KJL: PI Cat DeLuca is an irreverent character with her own sense of justice. The endings of her books are always unexpected. KJL: We wish Cat's extraordinary adventures and hunky guys were our own. Regrettably, we write fiction. OMN: How do you go about splitting the work in writing these mysteries? KJL: Each morning three bleary-eyed sisters meet on Skype and ask, What does Cat do today? We'll have a loose outline to work from, usually just a few paragraphs. We throw out ideas, divvy up scenes, and write independently. Each sister has the freedom to follow her muse wherever she takes her. But if she can't convince the others to follow her story line, she's in for a rewrite. On our best days, the story writes itself. The writing is fresher when we're able to have no expectations and go with the flow. When we write, we want to be as surprised as the reader by what happens next. We're usually in the final scenes of a story before we agree on whodunit. We'll have conflicting ideas on who the bad guy is. One sister has to convince the others that her character is the killer. Writing this way creates a scramble at the end with extra editing and a few additional scenes. But it's also more fun. KJL: Fact-checking is a family affair. Papa and our three other sisters do most of the research. A few phone calls and a little computer time takes care of it. The three writing sisters do field research that involves lunch or coffee or a cold beer. Before beginning a new book, we like to hang out in Bridgeport, Cat's stomping grounds. We talk with Chicago's Finest at the Ninth Precinct and check out the Italian-American Club, Gino's Deli, Jackalope Coffee, and Shinnicks Pub to get a feel for the community, history, and local slang. OMN: The series is set in south Chicago. How true are you to the setting? KJL: We try to keep true to the streets and local environment. We use some of Bridgeport's favorite shops and restaurants etc, for some scenes and we create fictional places for others. The fictional locations are vague enough to not be distracting to our Chicago readers. KJL: We would see Greece … the Parthenon, Mykonos, St. Savvas Monastery, and Ancient Delphi. We'd travel from the Acropolis of Athens to the grand palaces of Istanbul. We were adolescents when we fell in love with the enchanting hills and mythology of Mary Stewart's Greece. We still read My Brother Michael, This Rough Magic, and Moonspinners. We sisters dream of writing a novel in Greece together; sitting on a hillside with a bottle of wine, a crusty loaf of bread, cheese, and a fistful of olives. It's on our bucket list. KJL: We're a musical family and Cat's assistant, Cleo, sings in nightclubs. We channel our love for baking and creating fabulous food through Tino's Deli and Mama. We're huge sports enthusiasts and each book references Chicago Bulls, Bears, and/or White Sox. Sadly, our characters refuse to channel Kristen's yodeling. 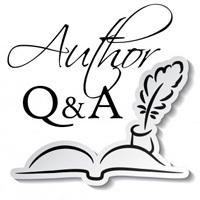 OMN: What is the best advice — and harshest criticism — you've received as authors? And what might you say to aspiring writers? KJL: Best advice comes from Michael Connelly: Put your head down and write for yourself. The harshest criticism: Someone said our car bomb scene was hijacked from Stephanie Plum. Because we all know, Janet Evanovich invented car bombs. Advice to aspiring authors: Forget everything you've learned. Make peace with your magical, creative self. Your story is inside you. Only you can tell it. OMN: Complete this sentence for us: "We are mystery writers and thus we are also …". KJL: If you are a mystery writer, you're somewhat eccentric, fanciful, and of dubious character. This comes from spending your days fantasizing about murder, conjuring up poisons, and plotting to knock off your husband for not taking out the garbage. OMN: How did the title of Bye, Bye Love come about? KJL: We were writing our fourth book, referring to it as "Four" because we couldn't come up with a name. In this story, a character, Bernie Grant, was killed in the first few pages. One morning on Skype, one of the sisters began unconsciously humming the tune, Bye, Bye Love and suddenly, we all started laughing. We changed the character's name to Bernie Love and we had our title. OMN: Suppose your series were to be adapted for television or film. Who do you see playing Cat DeLuca? KJL: Three sisters picks: Sophia Bush, Kaley Cuoco, Keira Knightley. OMN: What kinds of books did you read when you were young? And do you think they may have influenced how and what you write today? KJL: There were too many favorites mention. Topping the list: Little Women, the Ramona books, White Stone by Gunnel Linde, C.S. Lewis' Narnia series, and Tolkien's Lord of the Rings. But at the very, very top is the strawberry blonde in the powder blue convertible. We sisters were Nancy Drew maniacs. We read each book more than once and acted out our own Nancy Drew mysteries. Without Carolyn Keene, we probably wouldn't write mysteries today. KJL: For fiction, we read many books and we pass around our favorites. Here are a few that come to mind: Jack Reacher, Mary Russell, Hamish MacBeth, Maisy Dobbs, Anna Pigeon. The characters are unusual, strong personalities and they're fresh and real. Most importantly, the writer is successful in making us care and cheer for her protagonist. KJL: Favorite authors: Laurie King, Donald Westlake, Lisa Scottoline, Jennifer Cruisie, Gerald Browne, Margaret Millar, and Ruth Rendell. KJL: We sisters are wrapping up cat's fifth outrageous adventure now. We're also working on a mystery for children. And if the gods are smiling, we'll take a slow boat to Greece.